Looking to get the garden in shape ready for the nice weather and barbecue season? The first place to start is with the lawn, which is the central aspect of many outdoor spaces and will immediately make it all look healthier and attended to. If you have already commenced your research into finding the best lawn mower for you, then you will have realised that it isn’t a simple task. Petrol or electric? Self-propelled or manual? Maybe even a robotic lawnmower? If you like to be able to choose between various cutting lengths for a truly personalised lawnmowing experience, then the Flymo Speedi-Mo is ideal. There is a single lever height adjust option, through which you can choose between five cutting lengths ranging from 20-60mm. this means there’s no need to turn the appliance upside down or on its side and adjust each when separately, like other adjustable lawnmowers. The vision window tells you when the grass box needs emptying, but the 40L capacity means that you will be able to cut most of your lawn without even having to worry about making a trip to the recycling bin, especially as it all compacts. The 12m power cable is generous, reducing the need for a long extension lead and having to manage various cables and making it perfect for larger lawns. It is easy to assemble compared to many of the others we reviewed, meaning you can be up and running in no time and make the most of the pleasant weather. The folding handles also mean it can be stored away without taking up a lot of space in your shed, and they also make the lawnmower easy to transport even though it is on the slightly heavier side. Flymo is a leading name in the lawnmower industry, and fans of the brand will not be disappointed with this model. It handles uneven lawns easily, making it one of the best affordable Flymo’s on the market. 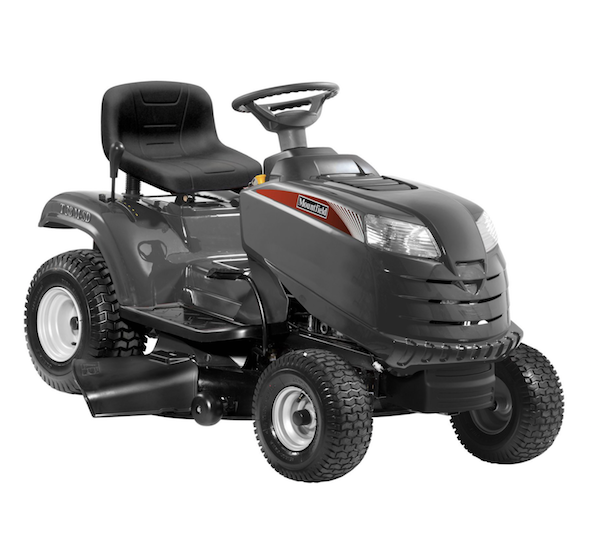 Easy to operate, the Mountfield Princess 34 is ideal for small to medium-sized lawns. The 15cm cable is on the long side for a corded appliance, meaning you aren’t constrained with where you can plug it in. The six pre-set blade cutting heights add flexibility, ranging from 25 to 75 mm. There is a roller between the front and back wheels, which leaves a modest striped effect on your lawn with lower cutting heights. The 35L grass box means most of the grass you cut will be collected, but there is also a plug supplied so you can use it as a mulching mower. This recycles the clippings back into the lawn, saving you time plus feeding your grass at the same time to keep it healthy. The cut clippings can also be left on top of the garden by using it without the collector box, with the deflector flap directing them for even distribution. A safety brake means the appliance’s blade will stop rotating within three seconds of you releasing the switch. Ideal for medium-sized urban lawns of around 150cm², the 1200W ‘PowerDrive’ motor and metal blade make cutting grass a breeze. The 32R is the smallest rotary lawnmower in the Bosch range. It is also lightweight for easy transportation, and the cutting-edge precision ensures that even the grass around your flower beds and edge of the lawn will not go uncut – reducing the need for having to get the trimmer out. When it is time to empty the grass box, this is also lightweight so can be carried to your compost bin or recycling facility easily. It also has a generous 31L capacity, reducing the number of journeys you have to make. The handles are double folding, reducing the area that the lawnmower will take up in storage which is ideal if you are short on space. There is also a cable-sorting feature so everything will be tidy and easy to bring out again when needed. With an integrated rear roller, you will be left with the striped effect that many gardeners find sought-after. The Bosch Rotak 32R’s cutting height can be changed simply by turning the lawnmower upside down and pushing the wheels to the desired height. There are three heights to choose from, between 20 and 60mm, so there is no need to constantly press down and go over certain patches of grass to get the desired effect. The only downside to the lightweight aspect is that it isn’t ideal for bumpy irregular lawns which aren’t ‘bowling green flat’, or slightly damp long grass. Grass can also easily gather around the blade, possibly resulting in having to clean it more often than you’d wish. A quality product for the price, as would be expected from a brand such as Bosch. For a battery-operated device, the Flymo Mighti-Mo is powerful in performance. A two-hour maximum charge will provide enough power to cut a lawn the size of 250m² – roughly a full tennis court. The lack of cord also means you aren’t tied down with cables and plug point restrictions. Simply press a quick release button and the battery comes out easily. Once charged, you just push it back in and you’re ready to go. The five cutting heights, operated by a simple lever on the side of the body, give a wide range of options depending on the exact lawn design you wish to create, from 25 to 75 mm. It is one of the lightest lawnmowers we reviewed, making it ideal for anybody who would need to transport it around or into storage. Talking of storage, the handles fold down easily so it takes up minimal space. Even though it is on the smaller size, the 30L capacity grass box is easy to both fit and remove, so you don’t have to dread it disrupting your flow. A brilliant option for anyone who would like to embrace the cordless life without losing capability. It couldn’t be easier to start up this lawnmower, which is the newest model from Hyundai. Simply press a button and you’re good to go – no fiddly pull and choke systems which can take a lot of effort. There is still a recoil pull start for back up, however. The cutting width (the best out of the non-ride lawnmowers we reviewed) makes this model ideal for medium to large-sized lawns. It also has the largest grass bag capacity of these models, meaning it is likely you won’t have to empty cuttings at all during the time you spend mowing the grass. You can choose from six cutting heights from 25 to 75 mm, simply by changing a lever on the side of the machine. The back wheels are equipped with four-speed drive, which is operated by a handle control. As it is self-propelled, it will take a lot of effort out of the job, and the drive can be turned off for when you need to rotate the machine. It is even well suited to any inclines you may have in your garden. With foldable soft-grip handles, it is easy to store despite its bulky nature. It is heavy, but this ensures an effective cut without too much pressure having to be applied. Included is a mulching plug and side discharge chute, if you prefer to reduce waste and naturally fertilise your grass. The best and most adaptable petrol lawnmower on the market for the price. If power is what you are after, then the Honda IZY is pretty unrivalled. The huge 2800W motor and 4.4 horsepower will make light work of any grass, even if it has been neglected over the winter months. It is also perfect for the safety-conscious; the blade break function means that the motor and engine will cut out once you let go of the handle, so you don’t have to scramble to turn it off or press any buttons. The 50L grass box is more than generous, meaning it is likely you could cut your entire lawn without the need for any interruptions. This, combined with the power, makes it ideal for large gardens. Six cutting positions, ranging from 20 to 74mm, means that you can get the exact grass length you desire. Leave it long for the nice weather or cut it right down ready for the winter months. If the recoil start is putting you off, don’t worry – the flexible double-lined cables and auto-choke system means a perfect start every time, with no engine flooding or stalling in cold weather. The rounded design ensures good airflow, and there are no hidden areas for grass to cling to so it is easy to maintain clean-wise. Even though it may seem on the pricey side, it is a real investment piece, and if well looked after could last up to ten years. As a bonus, the blade is also designed to twist rather than break if it hits an obstacle, reducing possible maintenance costs. The cutting deck has also been treated to reduce rust and corrosion. If you are lucky enough to have a very large garden up to 2.5 acres, then this Mountfield model is ideal. With 7 cutting heights from 25-80mm, it is fully flexible for use over various different areas depending on the purpose of the grass. There is a dedicated mulching and side discharge machine, so there will be no grass box to empty every so often. The twin bladed cutter deck gives a clean finish, so no matter how long and damp the grass is to tackle, you will only have to go over it once. Suitable for lawns up to 400m² and for people who like to apply minimal effort to their household chores, this robotic Flymo model brings high-end technology to one of the most dreaded garden chores. It mulches at the same time as mowing (which means the cuttings are redistributed into the soil as a natural fertiliser), so there is no need to keep a close eye on when it needs emptying. This is done by the razor-sharp blades quickly and repeatedly cutting the grass blade tips, making the cuttings easier to dispose. With the irregular cutting pattern, it will take care of the longest patches of grass first, leaving no areas behind. Don’t worry if your garden is uneven, a funny shape or full of obstacles, as the highly sensitive motion sensors will protect the appliance and your garden decorations. It will also work well on any inclines up to 25%. You could even set it to work every day, to keep on top of the trimming. Different mowing days and times are selectable using the large display screen at the front of the appliance, so it will get to work without you even thinking – even when it is raining. A full charge will last an hour and within this time, it can cut an area around 30m². The cutting heights range between 20 and 50 mm depending on the style you want. As it is robotic, there will be no wheel marks left behind. Incredibly quiet, it emits almost no noise, so won’t disrupt your summer barbecue and socialising. You will have so much extra time on your hands that you won’t know what to do with it. It even takes itself back to its charging station when needed. There is a DVD and easy to follow manual guide included, and the boundary wire is easy to install and ensures the appliance will not go off-course and end up in your flower beds. It is easy and small enough to store away in the winter months, as recommended. The best robotic model on the market which would convert even the most loyal traditionally-powered lawnmower fans. Specifically designed for small lawns around 150m², this Robomow model features a solid 18cm stainless steel mulching blade which can cut all the way to the edge of the lawn. It will run for up to an hour and a half, so you can leave it to mow all by itself once you select the settings. When the battery gets low, it will return to its charging dock automatically ready for the next time it is required. There is a 70m perimeter wire and 100 pegs included, meaning that once the lawnmower is charged up and you’ve set up the wiring, you are good to go. The Robomow isn’t as good as the Robotic Flymo lawnmower when it encounters an obstacle or on uneven ground/slight inclines but works very efficiently on flat even surfaces with few obstructions or shape changes. The battery does last for up to half an hour longer but does take around 16-20 hours to fully charge. Really light and manoeuvrable, this Bosch hand lawnmower is easy to set up and quick to use. Often, setting up a lawnmower can take just as much time as actually cutting the grass, by the time you get all of the extension leads sorted and safe. With no cords and plugs to worry about, simply bring the Bosch AHM 38 G out of storage and you are good to go. You can choose a cut height setting between 15 to 43 mm, meaning the length you leave your grass is flexible. The fitted rear roller leaves a nice striped effect on the grass you mow, and the underset of the wheels allows easier operation and pushing than some of its bulkier hand mower rivals. The shear-cutting principle, along with the five hardened steel blades, give a high cut quality, especially with smaller lawns or difficult to reach areas. One of the downsides is that it struggles with long grass, meaning you could have to go over your lawn a few times to get the right length and cut. This isn’t a rare problem amongst hand push lawnmowers but isn’t ideal for anybody who struggles to operate a lawnmower for a long amount of time. 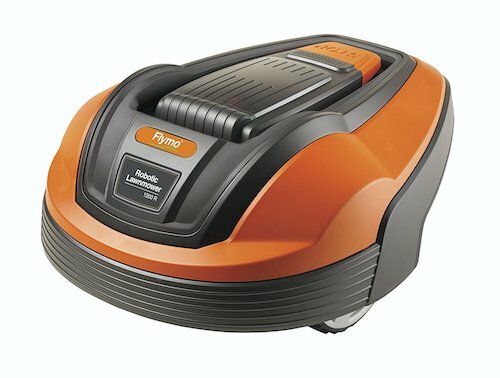 It is perhaps best for anyone who wants a lawnmower appliance they can occasionally quickly use in between larger, more thorough cuts, or for anybody with a small urban garden who doesn’t want to use electricity and is happy to have a bit of a workout at the same time. Despite its slight downsides, it is still one of the best hand push mowers on the market. Smaller and lighter than the Bosch AHM, this Challenge mower is eco-friendly and simple to use. Easy to put together, you can be using the mower in no time at all without the need to worry about wires, power sources or extension leads. This also makes it perfect for use in all-weather types. The five metal cylinder blades give a close cut, and there are four height positions to choose from between 18 and 38 mm. As a bonus (and rare amongst hand mowers), there is a rear roller to give your lawn an extra design finish. 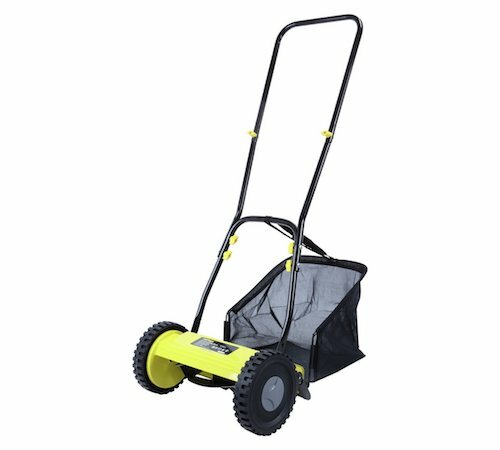 Which Type Of Lawnmower Is Best For Me? If your garden is on the very small size, a manual lawnmower which requires no fuel could be ideal. They are generally more inexpensive and save a lot of time getting the appliance prepared as they are simply pushed along the ground. These are best suited to flat surfaces as quite a lot of arm power is needed from the user. If it is anywhere between small and medium, an electric lawnmower could be the best option. These offer more power than the manual models, and generally offer a cleaner cut. Most are relatively lightweight, and best if your garden is quite level and regularly shaped. They are also easiest to maintain. Electrical lawnmowers can be either corded or cordless, so think about whether you need a long cord length to reach all of your garden, or whether a cordless model is best. You can also get hover mowers, which are great for uneven surfaces and lighter to manoeuvre. Petrol lawnmowers are generally a lot more powerful and sturdy. With higher powered motors and larger capacity grass boxes, they are ideal for medium to large gardens as they don’t have to be emptied regularly and can handle most grass and terrain types. They also don’t require any cables or recharging, but this can mean a lot more maintenance and the need to store petrol. Robotic lawnmowers aren’t as powerful as their manual counterparts but are great if you have well-maintained lawns and like to keep on top of the grass cutting. They do all of the work for you, from cutting to recharging. The wouldn’t be so ideal for very long grass, such as that first cut after the winter months where gardening has been neglected. They also don’t necessarily create the most attractive cutting. Ride-on lawnmowers are for people with acres of land to maintain. They are designed as mini tractors, and many now have various features which give you the finish you want. They are often very expensive and noisy. Who Makes The Leading Lawnmowers? Flymo are generally seen as the most popular brand, due to their affordable yet trustworthy products. They focus on electrical lawnmowers, but also have a robotic lawnmower on the market. Bosch and Mac Allister are also leading names. Mountfield are a popular brand amongst petrol lawnmower fans. Many brands who are typically seen as car manufacturers also produce petrol mowers, such as Hyundai and Honda. What Is The Difference Between Rotary And Cylinder Mower? Most mowers are the former option, as they have blades which rotate to cut the grass. Hey can be used on most surfaces and require less work than cylinder blades. Cylinder mowers use a rotating barrel of blades against a fixed blade. They are generally used in manual lawnmower models and best for short, even surfaced grass. What Size Of Lawnmower Do I Need? All models are best suited to a particular size of garden, so work out whether yours is small or large. Then, look at the cutting width of the mowers – the larger this is, the more space they can cover. Petrol lawnmowers are generally best for larger gardens, and electrical/cordless are best for smaller, urban spaces. Also think about storage. If your space is limited to a small shed or simply storing it in the garden over winter with a cover, look at getting a lawnmower which is slight but also has foldable handles to reduce its size. Do I Need A Rear Roller? Many lawnmowers come with a rear roller, which is how many gardeners create the ‘striped’ effect on grass after cutting it. It isn’t necessary, but if you like this effect then it will likely only be available with a roller mower. Do I Need A Large Grass Box? Again, this depends on how much grass you have to cut. A larger box will save you several trips to the recycling bin to empty it, as it can hold more. Cutting boxes simply collect the grass gatherings, but mowers can be used without if you prefer to rake the grass afterwards or leave it to dry and break down naturally. If frequent emptying isn’t something you are worried about, then it isn’t the most important aspect to look for. What About A Mulching Plug? Some more modern mower models come with mulching plugs, which redistributes the grass back into the soil to act as a natural fertiliser. If you prefer to reuse rather than recycle, then it could be a good option.